(2009). Calculation of Physical Properties of the Methanol-Water Mixture Using Molecular Dynamics Simulation. Iranian Journal of Chemical Engineering(IJChE), 6(4), 62-72.
. "Calculation of Physical Properties of the Methanol-Water Mixture Using Molecular Dynamics Simulation". 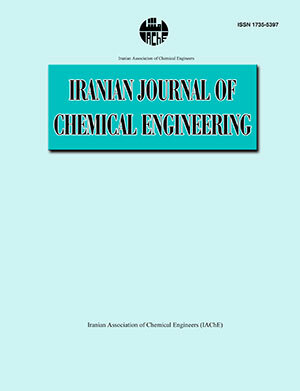 Iranian Journal of Chemical Engineering(IJChE), 6, 4, 2009, 62-72. (2009). 'Calculation of Physical Properties of the Methanol-Water Mixture Using Molecular Dynamics Simulation', Iranian Journal of Chemical Engineering(IJChE), 6(4), pp. 62-72. Calculation of Physical Properties of the Methanol-Water Mixture Using Molecular Dynamics Simulation. Iranian Journal of Chemical Engineering(IJChE), 2009; 6(4): 62-72. In this study some properties ofthe methanol-water mixture such as diffusivity, density, viscosity, and hydrogen bonding were calculated at different temperatures and atmospheric pressure using molecular dynamics simulations (MDS). The results were compared with the available experimental data as well as some theoretical models; overall indicating a good agreement. This shows the useful and effective application of MDS for determination ofphysical properties.